Reserve Fable for a farm and dining experience for your friends or family. Put together a group of 12 persons or more and Fable is exclusively yours for the day or evening. We will create a farm-fresh, seasonal menu that suits your taste and budget. Farm tour included. Prix-fixe menus range between $30 and $60 per person. Celebrate special occasions such as rehearsal dinners, intimate weddings, retirement or graduation parties at Fable. We create unique and memorable events, workshops and gatherings that highlight the seasons, farm and food. For details on events and workshops visit our Farm Events page. 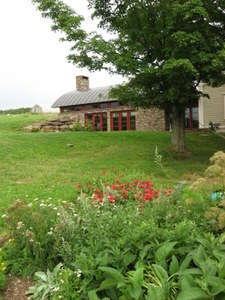 call 607-278-5800 or email warren@stoneandthistlefarm.com. Stay on the farm in the Farmhand Cabin or the Farmhouse Suite. Our guests are invited to enjoy the best of the farm's grass-fed meats, produce and dairy in meals lovingly and artfully prepared. Dine in your cabin or suite or in Fable's modern addition of the 1860 Greek Revival farmhouse. 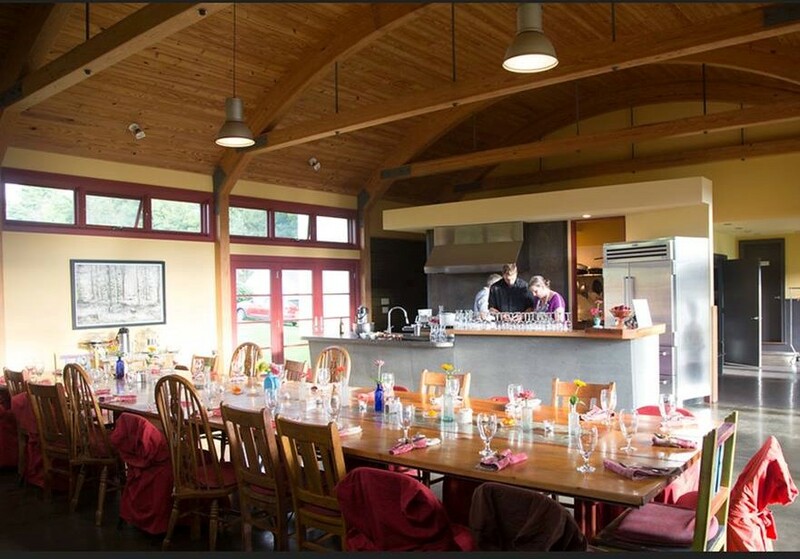 Rent Fable's kitchen and dining space and chef your own event! We can help with menu selection or foraging and shopping for farm fresh ingredients. Call or email us for pricing. Celebrate a birthday, retirement, graduation or engagement with Farmer for a Day or Field and Kitchen Workshops. Milk the goats, make cheese and enjoy a farm lunch of local meat, vegetables and cheese. Take a table top tour of New York State's wine and cheese. Enjoy the best NYS wines paired with local cheese and indulge in appetizers made from the farm's meat, vegetables and dairy. See Field and Kitchen Workshops for party ideas on our Farm Events page. We will design a unique party for you. Stone & Thistle Farm is ideal for a small, unique country wedding or rehearsal dinner. Imagine white tents in green pastures with views of cows and sheep grazing the hillsides; a seasonal feast lovingly prepared in the farm's restaurant Fable, wildflowers picked from the meadows decorating the tables and tents; dancing by firelight on the bluestone patio with the night sky sparkling in the background. Email or call for details and pricing. Put the "fun" back in fundraising and hold your fundraising event at Fable. We'll open our on-farm restaurant and farm to your organization, you promote the event, provide the volunteer staff to help us serve and clean up for up to three hours and we'll donate 35% of the event's sales to your organization. 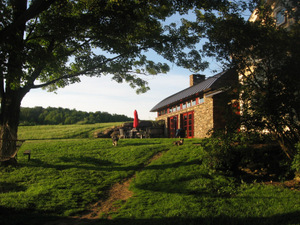 Fundraising events may include a tour of the farm and hors d'oeuvres and beer and wine on Fable's patio or inside, a tour of the farm or lunch or dinner serving the best of the farm's grass-fed meats, dairy and produce, or a workshop such as cheese making, butchering, cooking. Contact us for details. Lodging is available on the farm at our farm stay or at Harmony Hill Lodging and Retreat Center located a stone's throw from the farm.